I do not see any brown piping. It was jet black in person as well as all the images I see. Where are you guys seeing brown? I do not see where I listed white. Can someone show me the line? 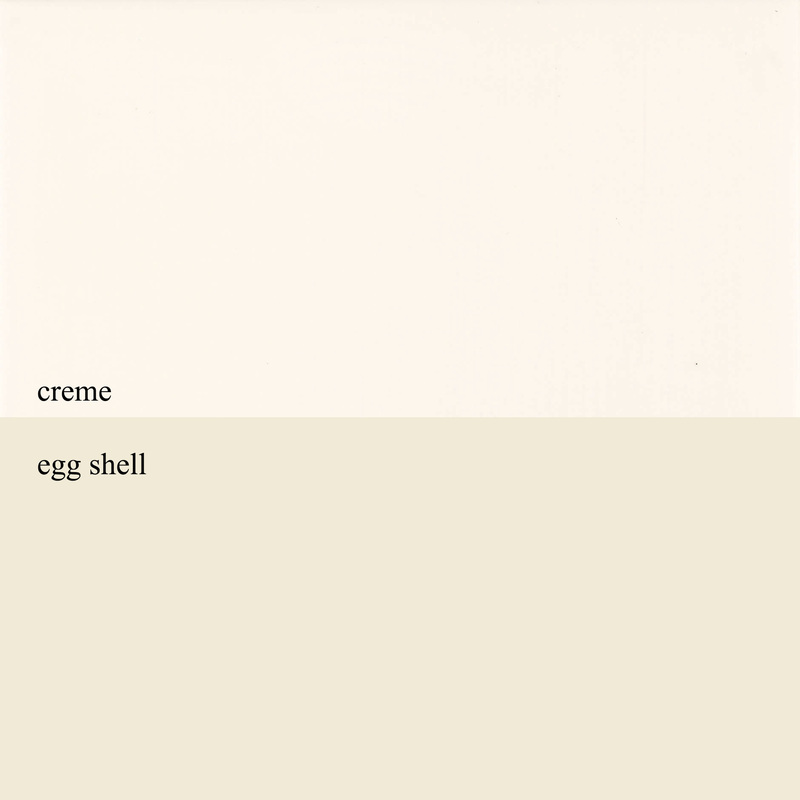 I listed egg shell white (is that what you are refering to)? In the title. It says “Qi Ra white jacket discussion” or something like that. Just don’t want people to be confused. I’m not great at color names but I still would disagree that it’s white at all. 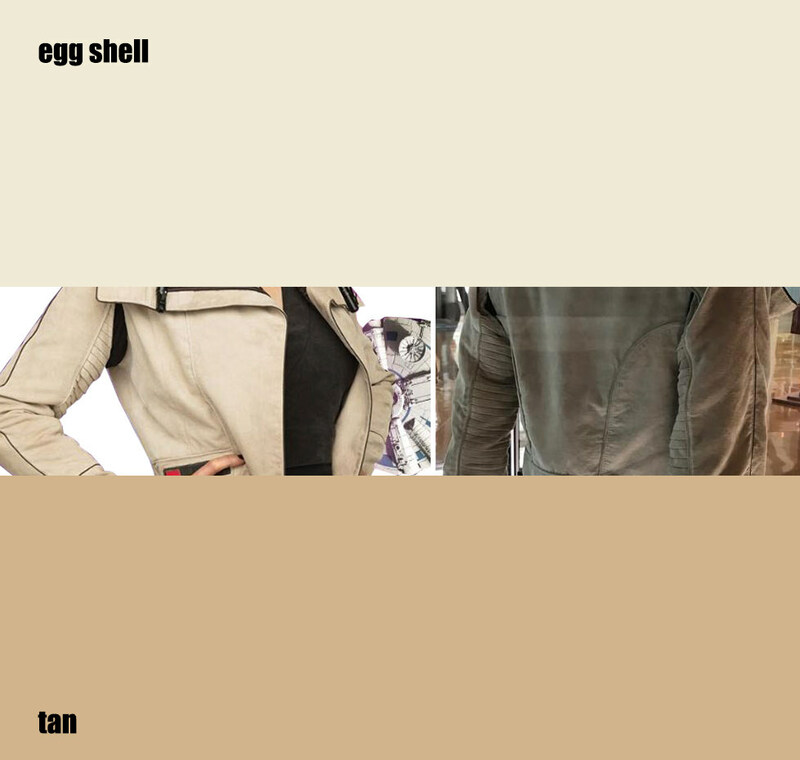 Eggshell is close but still has too much white IMO.Perhaps beige is too strong of a color but sand or a similar color would be a better name for it. but its like saying burgundy isnt a red. when it is Its a type of berry toned red. Or that hunter isnt a shade of green. hmmm sand is interesting. Like a good middle ground between the two. This is close and would work IMHO as well! Sand is also kinda yellow. which i am not sure im seeing yellow? This is great! Many thanks ! Do you have any pictures of the greebles of the boots ? The boot greeblies can be clearly seen on the theater standees. Here's a link to one closeup image. I 3D printed mine and have them attached with velcro and it works great! Mine are rivets. I thought in one image you can see a strap holding the bigger strap onto the boots. But heck velcro works! 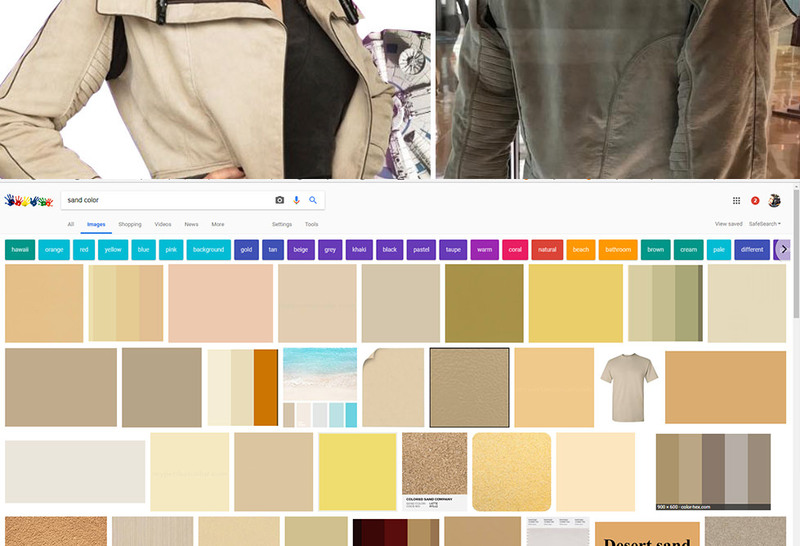 Thread title: "Qi'ra White Jacket Standard Discussion"
Post #1, 1st line: "Qi'ra White Jacket with Optionals Discussion"
*The jacket ends at the costumers ribcage and is eggshell white or off-white in color and made from microsuede or suede." All of these mentions of "white" are simply inaccurate, and misleading, especially to someone not reading closely. Instead of white, I think "cream" or "sand-colored" would both work. Or use Glyn Dillion's description of the color from his tweet: “Somewhere between cream and beige”. But "white"... even "eggshell white" is entirely incorrect… and again, misleading and prone to mis-interpretation. Which we need to avoid in formal standards, especially when translations start coming into play. Ditto for the piping. We know with 100% certainty that it's not black. It's dark brown, same tone as the dark brown shearling/sherpa fur on the collar. But the first post still refers to black piping. I posted about the stitched design on the back of the gloves earlier... the OP should be updated to remove the "free of detail and design" which is incorrect. I think it's safe to update the OP to more accurately reflect the various details which are known 100% certain at this point. And i know he said between cream and beige but yikes this is beige. We have pictures of the actual costume and in no way do I see white. 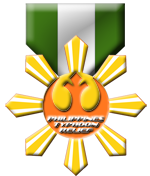 This discussion can go around and around but until we know which category she will fall in (RL or 501st or both), I suggest we set a base standard and then go from there. I am going to post this discussion link on LotL and a few other places to help spread the discussion to more than just 4 people lol. I feel the more input the better. My main concern with the color is people are going to read a title and think, "Oh! I should buy white fabric for this jacket!" and then go to all the work of putting it together and then have it turned down because it's white. Having white in the title is not something I would suggest. "Qi Ra's Smuggler Outfit" or something like that might be better. Just my opinion though. Instead of naming names, especially since this is an international effort. How about we agree on a range of shades then put that image of colors on the CRL like the generic Jedi does. 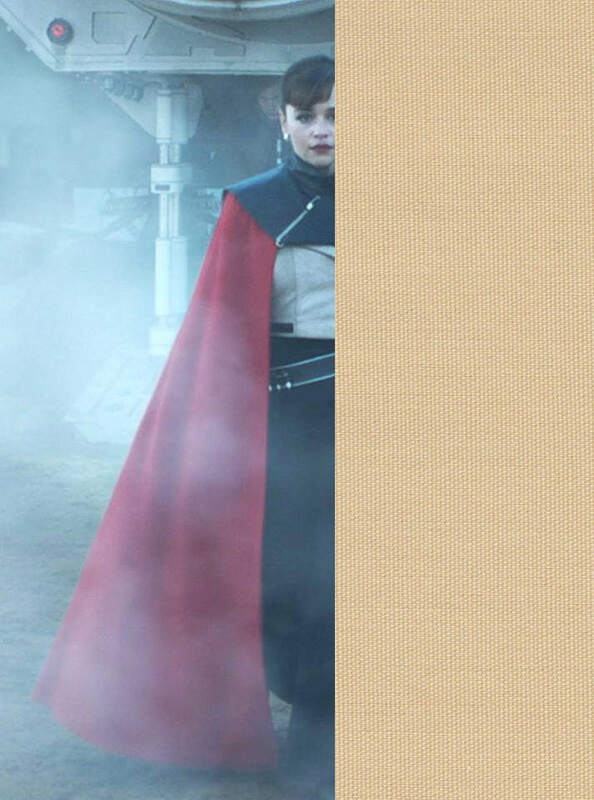 All these were pulled from various photos of Qi'ra. OP looks much better, once we dial in the language about the color of the jacket. Thanks, Dawn! * A thin silver chain with a bar that is approximately 1.5 inches long by .5mm tall. There is a black stone or resin design in the center. " We definitely know at this point that it's definitely not any sort of black stone. It's only unclear whether it's the black lacquer paint that's often used on silver-toned jewelry, or simply deep enough that the shadows make it look darker than it is. Hopefully another trip to the costume displays soon can resolve that! I guess you want to keep the black option for the piping and the sherpa lining, even though we definitely know it's not black, but dark brown? The rubber tubing is also dark brown, turns out. FWIW, I'm not hugely against the idea of leaving a black option, but I'll note that we DO definitely know that the actual costumes are not black, at this point. And dark brown shouldn't be overly difficult to source, so it's not really an availability accommodation, as is sometimes done. I just wanted to raise the issue, but it's not really something I feel super passionate about if others want the standard more flexible. The base color of the jacket material is a thornier problem, in terms of verbiage. Drazan's idea of a color chart isn't bad. There will still be variation, especially at the top and bottom ends, because few people are using color calibrated displays, but I would think it's still likely to be within reason. 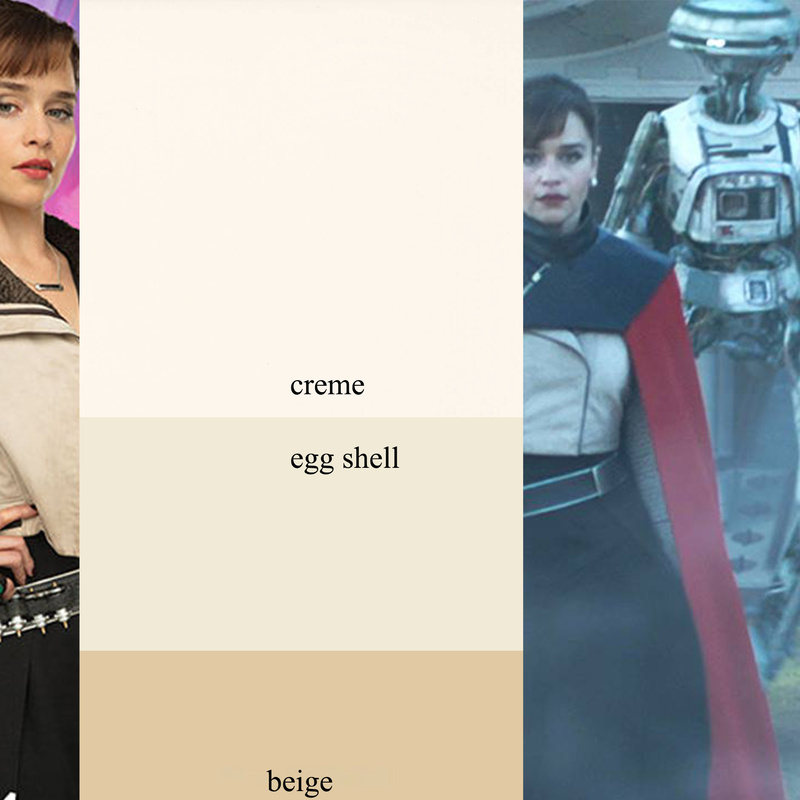 Perhaps, in conjunction with the color chart, and the actual reference photos which are now included with the updated Standards format, we actually could use verbiage along the lines of "cream/eggshell/sand/light beige".